6Wresearch announces the release of exhaustive and detailed “Indonesia Diesel Genset Market (2015-2021)” report covering diesel genset types, applications. 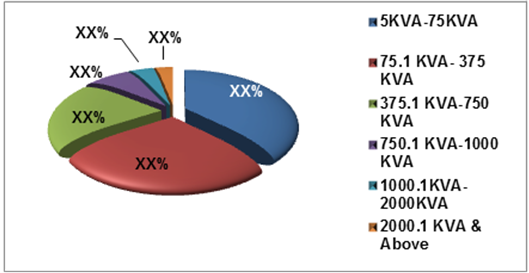 The report estimates and forecast market by power rating such as 5KVA-75KVA, 75.1KVA-375KVA, 375.1KVA-750KVA, 750.1KVA-1000KVA, 1000.1KVA-2000KVA, 2000.1KVA & above. The report segregates application market into Commercial, Industrial and Residential. Further, commercial segment is segmented into Retail, Commercial Offices, Telecom, Hospitals, Hotels, BFSI, Transportation and Others; whereas industrial is sub-divided into Manufacturing, Oil & Gas and Others. Growing public infrastructure, demand for gensets in Kalimantan, Nusa Tenggara, and Papua regions, power outages, requirement in unreliable & off-grid reliable areas and rising telecom infrastructure have led for the growth of diesel gensets in Indonesian market. According to 6Wresearch, Indonesia Diesel Genset Market is projected to grow at a CAGR of 12.3% during 2015-2021. The market of diesel genset in Indonesia is surging owing to need to provide continuous and back-up power across various end user segments in the country. Expanding IT/ITES sector has additionally driven the market for diesel genset in Indonesian market. Apart from this, rising construction industry is also playing significant role for the growth of the overall market. In Indonesia’s Diesel Genset market, diesel gensets with 5KVA-75KVA rating have captured significant share of the market due to its low cost and deployment in wide range of applications. Over the next six years, small ratings diesel genset market is exhibited to maintain its market leadership. In the forecast period, the demand for small rating diesel gensets would also be witnessed from growing telecom towers in the country, especially in regions such as Kalimantan, Nusa Tenggara and Sulawesi. Amongst all regions, Java and Sumatra cumulatively have accounted for major share of the market revenues, where South Sumatra and Jakarta are the key contributing areas in overall Indonesia diesel genset market. Some of the key players in Indonesia’s Diesel genset market are namely, Cummins, Caterpillar, Deutz, MTU Onsite Energy, Doosan, Yanmar, Perkins, Mitsubishi, and FG Wilson. “Indonesia Diesel Genset Market (2015–2021)” provides in-depth analysis with 95 figures and 23 tables covered in 130+ pages. The report also gives insights on market share by companies, price trends, market trends, Competitive Landscape, company profiles, market drivers and restraints.